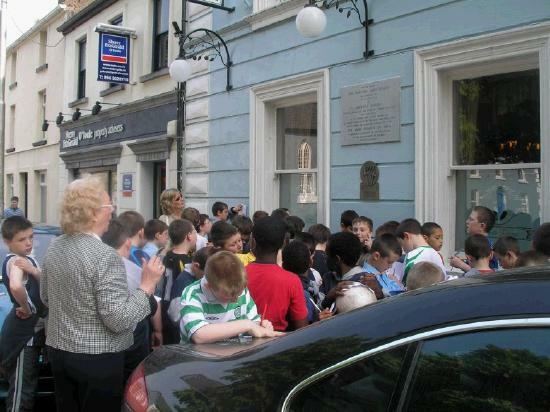 Castlebar - County Mayo - St. Pat's Boys go on an Historical Tour of Castlebar. 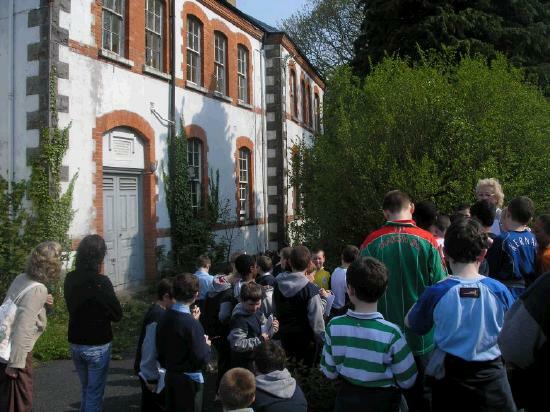 The boys from fourth class of St. Patrick's De la Salle BNS enjoyed an historical tour yesterday led by Mrs. Peggy Lee. In beautiful sunshine Peggy led the boys around the town telling them stories of what life was like many years ago. She told them stories of the old convent and the school, Lord Lucan, Michael Davitt & the Land League. This was the boys second historical trip around the town. Peggy has been a visitor to the class for a number of months now. She comes in to tell stories and share pictures of times gone by. She has built up a lovely relationship with the boys and they thoroughly enjoy her visits. 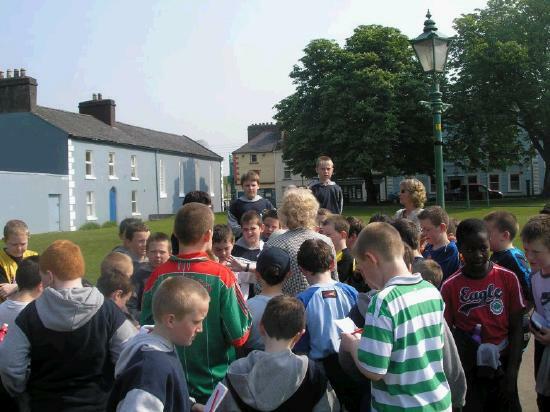 Peggy Lee talks to fourth class boys from St. Pat's BNS during their historical of Castlebar town yesterday. 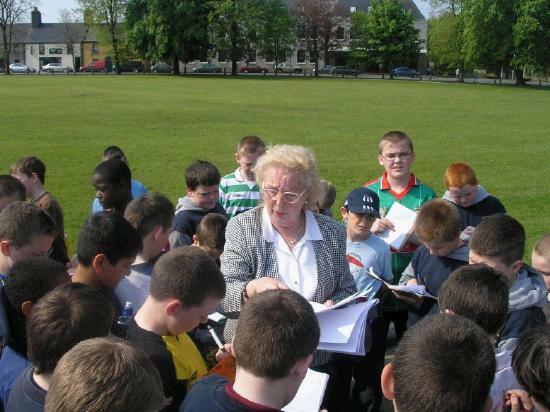 Peggy Lee talks to fourth class boys from St. 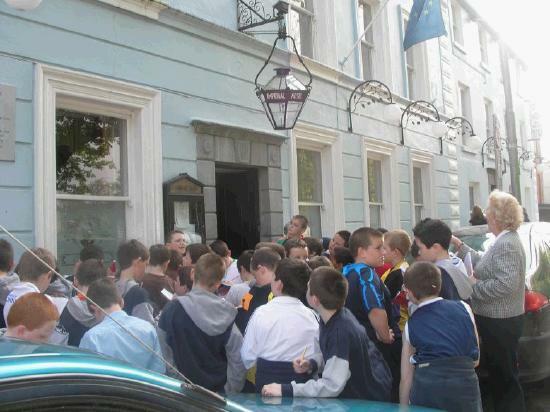 The boys stop off at Dalt's Hotel to hear all about Michael Davitt & the Land League. Peggy Lee tells the boys all about Lord Lucan during their Historical Walk yesterday. Peggy Lee & Rang 4 in the Mall yesterday. Peggy Lee & Rang 4 during their historical walk yesterday.